Rhino Post Safari Lodge is situated at the southern end of a 12 000 hectare private wilderness concession in the Kruger National Park. This concession shares a 15 km unfenced boundary with the Mala Mala and Sabi Sand Reserves, allowing wildlife to move freely between the reserves. Rhino Post is an elegant 16 bed lodge, offering an eco-conscious wilderness experience that includes safari drives twice daily. In addition to its own concession area, the lodge has exclusive use of some of the Kruger National Park’s public roads for evening game drives after gate closure. Wildlife sightings are outstanding in this region. Children: All ages at Rhino Post Safari Lodge. Kindly note that children under 6 cannot participate in game drives unless a private vehicle is booked. Electricity: Full electricity service at Rhino Post for 18 hours a day, and battery power for fans and lights from 23:00 – 05:00. Plains Camp offers walking safaris, appealing tented safari accommodation in camp, as well as overnight stays under the stars at the unique Sleepouts. 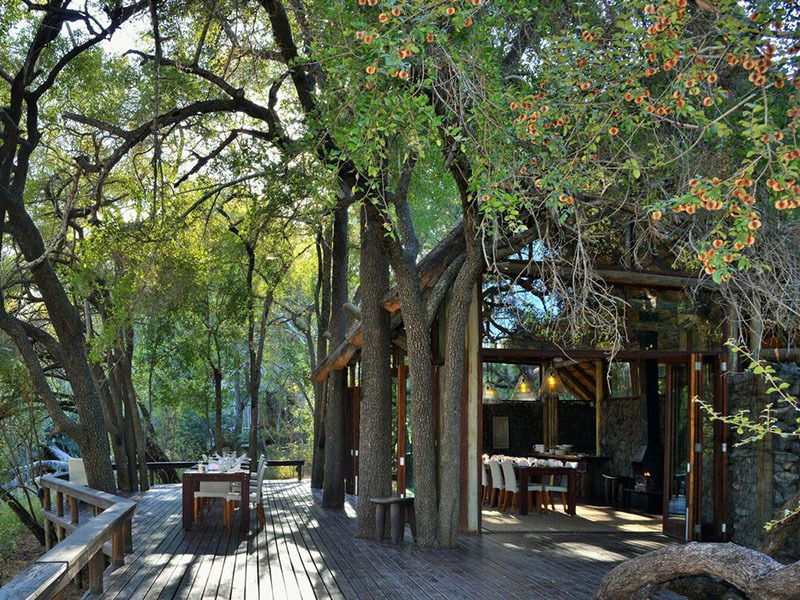 Exquisite settings, luxury accommodation and expert guiding ensure an exceptional wilderness experience. Children: 12+years at Plains Camp. Electricity: No electricity at Plains Camp, but 24-hour lighting is available and batteries can be recharged. STAY 4 PAY 3 SPECIAL OFFER 2019: Get your 4th night free when you pay for 3 nights, subject to availability and valid for travel 01 May - 30 June 2019. This venue does not offer formal conference facilities, but informal gatherings can be hosted at both lodges.